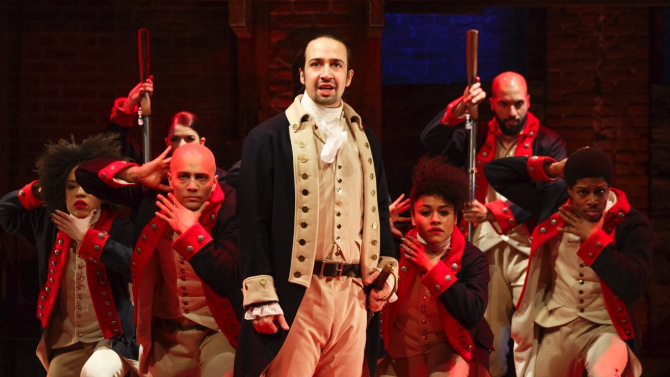 The Drama Desk Awards nominations were announced today, and Hamilton, the Broadway-bound musical, led the pack with 13 nominations, followed closely by An American in Paris with 12 nominations. The Drama Desk Awards ceremony, hosted for the second year in a row by Laura Benanti, will take place on May 31. Bess Wohl, the Sam Norkin Off-Broadway Award: For establishing herself as an important voice in New York theater, and having a breakthrough year with the eclectic American Hero, Pretty Filthy, and Small Mouth Sounds. Her writing expresses sensitivity, compassion, and humor with a sure hand. John Douglas Thompson: For invigorating theater in New York through his commanding presence, classical expertise, and vocal prowess. This season he demonstrated exceptional versatility in Tamburlaine the Great and The Iceman Cometh. Ensemble Studio Theatre: For its unwavering commitment to producing new works by American playwrights since 1968, and enriching this season with productions of When January Feels Like Summer, Winners, and Five Times in One Night. EST’s Youngblood program fostered and nurtured Hand to God, setting Tyrone off on his devilish path to Broadway. Andy Blankenbuehler: For his inspired and heart-stopping choreography in Hamilton, which is indispensible to the musical’s storytelling. His body of work is versatile, yet a dynamic and fluid style is consistently evident. When it’s time to “take his shot,” Blankenbuehler hits the bull’s-eye.